Rompa DE: the first ground has been broken! 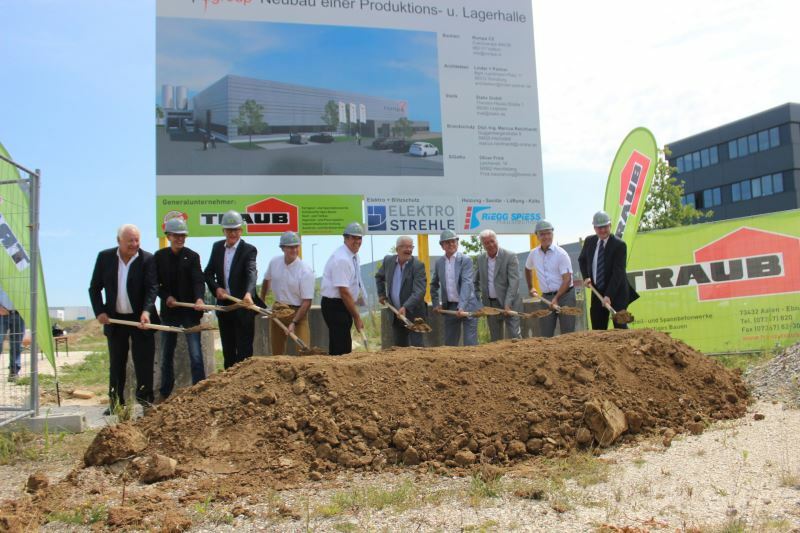 A year and a half ago, Rompa Group first announced the development of a new production site in Germany to strengthen our supply chain. Now, the time has come. The construction of Rompa DE in Leipheim has officially begun. In keeping with German tradition, the first ground was ceremonially broken. Patrick Gerard, CEO of Rompa, attended this festive event. Twenty-five guests were invited to the ceremony. They represent the organisations involved in the construction of Rompa’s new production site. 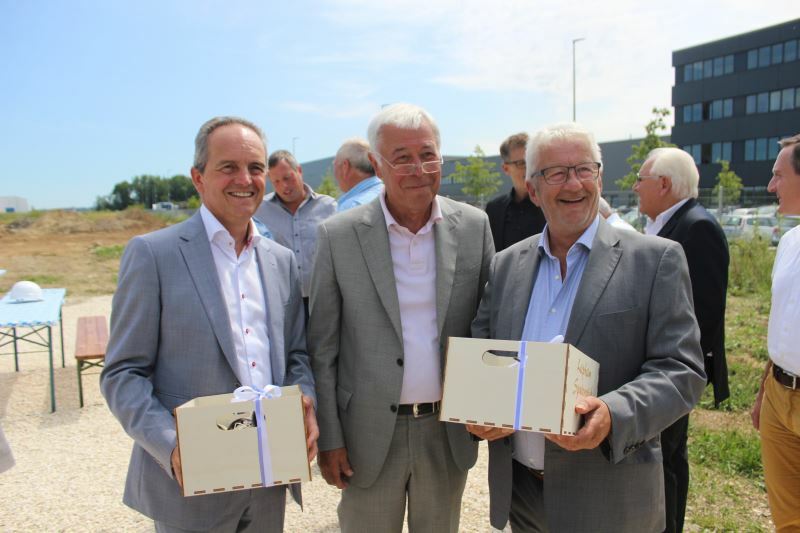 Among the attendees were Mr Konrad, the mayor of Leipheim; Mr Linder, the managing director of Linder + Partner; and Mr Schönherr, the managing director of Traub. Furthermore, we welcomed representatives from Statix, Strehle, Reichardt, Geomer, Riegg + Spiess and Britax Römer. Even a local news crew was there to witness the ceremony in Leipheim. “It is great that we managed to break the first ground today,” Patrick said during the ceremony. “Not just the people of Rompa, but also the partners we are collaborating with have made it possible to realise this in such a short period of time. It brings me great joy to see Rompa grow. I look forward to the future collaboration with our partners, all of whom I want to thank once again. At Rompa, we always strive to be a dedicated partner, for our people, our customers and our suppliers.” Rompa DE is expected to open its doors in the first quarter of 2019. If you want to follow the construction of Rompa DE live, check out the livestream at www.rompagroup.com.